In the summer of 1942 Hitler’s forces were approaching Stalingrad with the directive to capture the city at all costs. This threat caused Stalin to issue Order No. 227, “Not a step back.” The city would be defended at all costs. The atmosphere boiled. Stalingrad was under a brutal and bloody siege. On September 10 Lily and three other female fighter pilots were sent as reinforcements to the 437th, an all-male regiment based just outside of Stalingrad. The men, having not been informed of their arrival, were angry and disappointed when a “bunch of girls” showed up. To deepen their disdain, the women were flying the state-of-the-art Yak-1s making the men’s LaGG-3 aircraft seem even more obsolete. Three days later the “girls”, particularly Lily, had the opportunity to prove themselves. They entered into combat with the Luftwaffe’s deadly “Ace of Spades Fighter Wing.” Early in the battle she set her sights on a Junkers Ju 88 and sent the bomber down in flames. In another part of the sky, Raisa Beliaeva turned her Yak-1 on one of the Messerschmitt escorts. He deftly maneuvered out of her sites and succeeded in lining up behind her, firing relentlessly into her tail. Suddenly, and to his amazement, he was under attack by another Yak-1. He tried to slide out of harm’s way, but the fighter pursued, matching his every move. He attempted to return to his first target and finish it off, but Raisa had disappeared into the clouds. Smoke began billowing from his engine. The second Yak had done its job. The Messerschmitt was dead and the pilot had no choice but to eject. He was over Soviet territory and was captured as soon as his parachute touched down. Lidiya Vladimirovna Litvyak had become the first woman in history to shoot down a German plane in aerial combat. That day she accumulated two “kills” putting her well on her way to becoming an ace. Unteroffizier Erwin Meier, a double ace with eleven victories and an Iron Cross, told his captors that he wanted to meet “the man” who brought him down. Since they were close to the airfield where Lily was stationed the guards decided to honor his request. When the diminutive, beautiful Lily was introduced as the person who had bested him in the air he was insulted thinking that his captors were mocking him. A brief conversation in which she described each detail of the dogfight convinced him that she was, in fact, the pilot he had encountered in the skies outside of Stalingrad. His humiliation was complete. He could not look her in the eyes or face his defeat honorably. 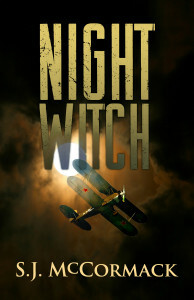 Lily was infuriated by his arrogant contempt of her as a pilot and a woman. Meier was loaded onto a cattle car with other prisoners of war and sent off to a Gulag. Lily returned to the skies the next day and scored a third victory.